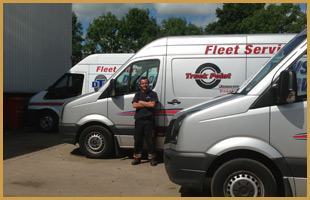 Based in Redditch, just a few minutes from J3 of the M42, we run a fleet of vans together with our qualified and experienced tyre technicians covering Worcestershire and Warwickshire. Dawson Tyre Services Ltd is a reputable, independent commercial tyre dealer based on traditional values and focused on working closely with our customers to understand their needs and requirements, helping to establish long-term business relationships. We deal with all aspects of tyre and fleet management including the fitting of new commercial tyres from our budget to premium range and all major brands of remoulds. We also carry in stock popular sized truck wheels. We also run a mobile truck service out of Worcester - get in touch to find out more.